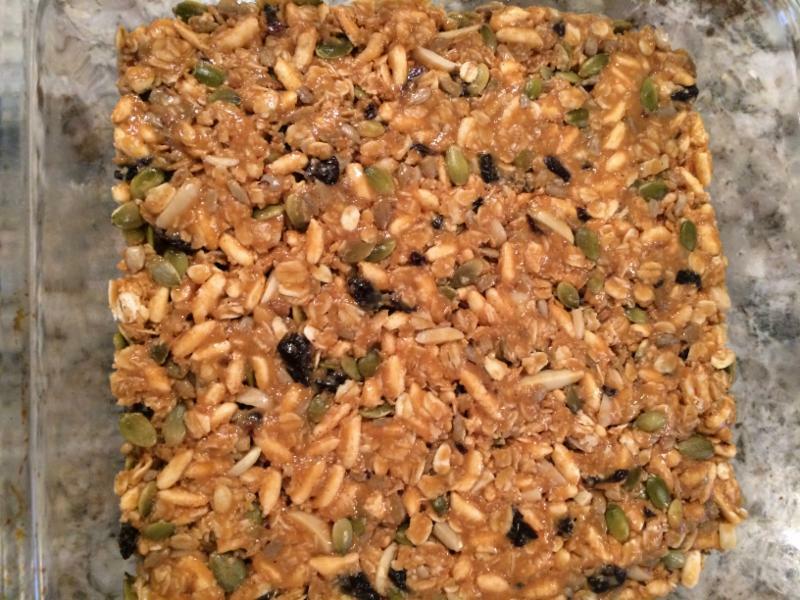 Breakfast bars, granola bars, snack bars, meal replacement bars, diet bars, & power bars for sports are all the rage. They are super convenient and you can grab them for a portable snack, if you are running out the door and too late for breakfast at home, or to tide you over after a workout until you arrive home for dinner. It is amazing how many of these bars are available in the grocery store aisles. While some of these bars are better than others, I find most have too many calories, too many grams of fat and sugar, and worst of all too many unnatural ingredients, especially high fructose corn syrup. I have been experimenting with a lot of recipes for homemade bars, but have not been able to find one that would hold together and not crumble and fall apart until now! This recipe is truly simple, and once you begin to keep these ingredients on hand it will be even simpler. 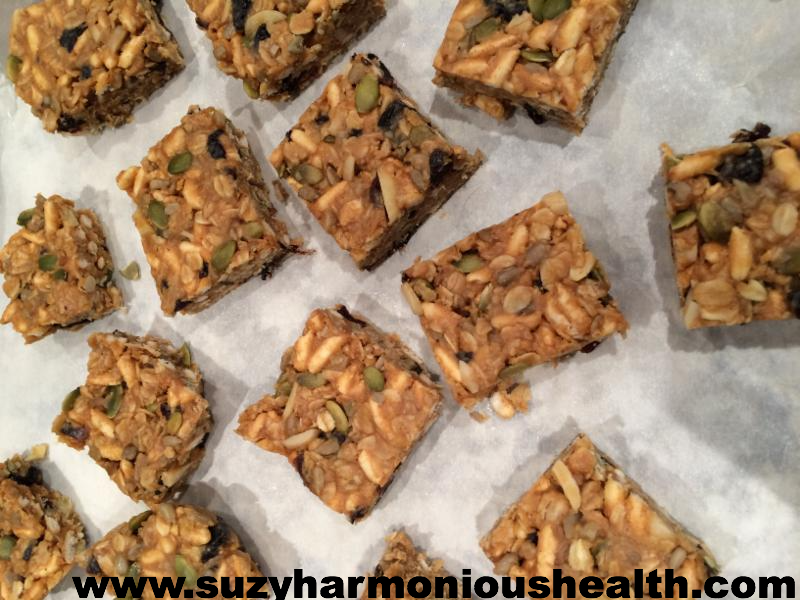 Give this recipe a try, it will make about 8 snack bars. This recipe also works well with honey, or maple syrup if you prefer those minimally processed sweeteners, which may have a slightly lower glycemic index to the brown rice syrup. I like the taste of the brown rice syrup, and the fact that it does not contain fructose. 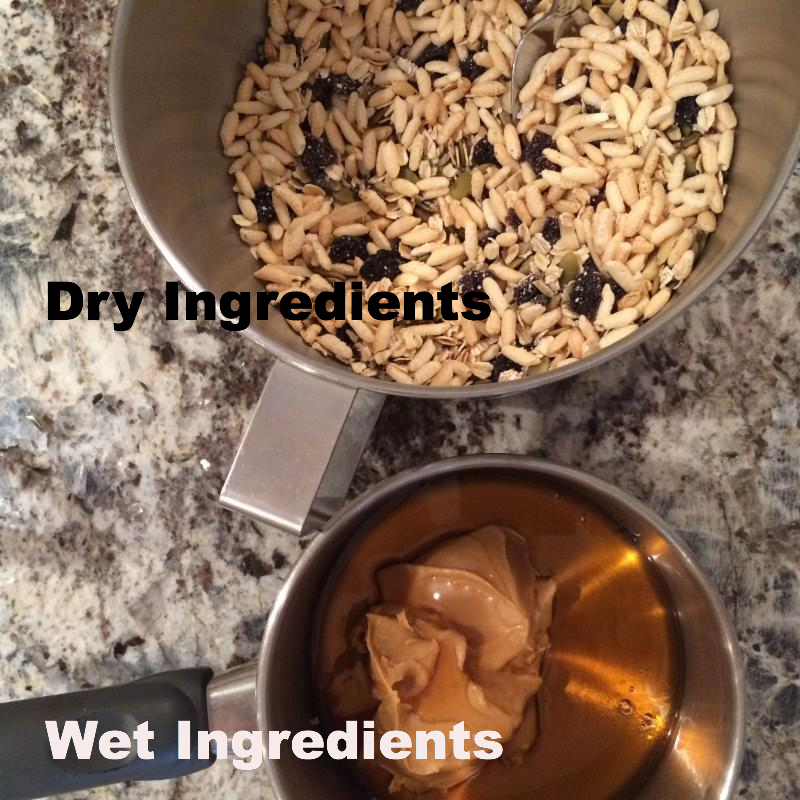 While the recipe calls for just a half cup of sweetener, I usually try to use less than that because I find the sweetness in the dried fruit is very satisfying, so experiment and see what works for you. Try to use a healthy, natural peanut butter in this recipe, one that also is not loaded with high fructose corn syrup or added sugar. I think you will love the crunch, the texture, the taste, and best of all the fact that you can control exactly what goes into these. I often cut them in half which makes about 16 and eat them as a mid-morning snack with some tea. Let me know how you enjoy them! 1/4 cup dried fruit (cherries, cranberries, apricots, raisins) experiment! ground flaxseeds, or use chia seeds. 1. Add all the dry ingredients to a large bowl. Mix them together. 2. In a saucepan mix together the wet ingredients, on low heat until smooth. 3. Add the wet ingredients to the dry ingredients and mix well. 4. Press the mixture into a container and store it in the fridge until it sets. 5. Cut into pieces and store in a dry cool place. Can be stored in the fridge for about a week, and then the freezer. I like to individually wrap them so I can grab and go.